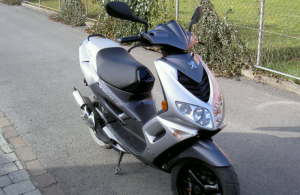 If you’re desperate to buy your first bike but money is tight don’t despair – you can find some great second-hand motorbikes for sale at less than £1,000. Whether you want to look cool for school on a scooter or be king of the road on something a bit more powerful than the twist and go, you can do it for less than a grand. Bikesure the specialist motorcycle insurance broker has found eight examples of motorbikes for sale for less than £1,000 and each has a little bit of style. 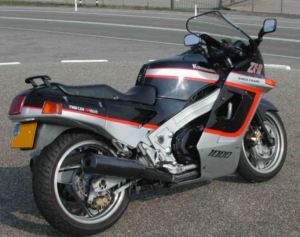 The ZX-10 Ninja claimed to be the fastest production motorcycle on the market in 1988 and the model we found was registered the following year. It was Kawasaki’s flagship sports bike and was the first to have an aluminum perimeter frame, a design which has since become standard. OK, it’s 30 years old but it’s worth a grand of anyone’s money and its acceleration will still make your hair stand on end. 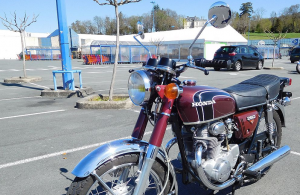 A great bike to learn on, the Honda CB 250 is light, mega maneuverable, economical and easy to maintain. The CB 250 was manufactured from 1982 until 2008 and the model we found was registered in 1999. The vendor was asking £800 – which we felt was something of a snip. It’s 20 years old but look after this hardy machine well and it would surely see you through another 20 years of hassle free riding. Perhaps you’d like to step up a gear to a Triumph? We found a fabulous TT600 manufactured 20 years ago for £1,000. 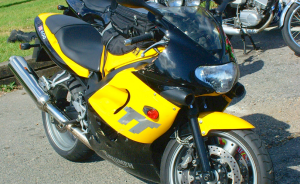 This was Triumph’s first in-line four cylinder 600cc sports bike and what a corker. With lightweight frame and chassis, adjustable shocks and easy handling, the TT model is well balanced and agile. Oh yes, it’s pretty fast too. Hold on to your hats! 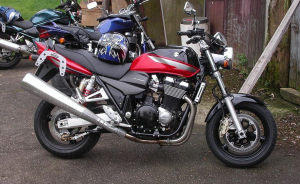 We found another sports tourer for under a grand and it was a 1988 Suzuki GSX 600F. The model for sale was constructed in 1988, the first year of the 18 year production run. The GSX 600F motorbike for sale is great as an all-round motorcycle but it will be a little wanting if you’re planning to open it up on a track day being a little too heavy to turn too many heads. If you find one that has been well cared for it could be a bargain, even at £1,000. You could dust down your parka and check yourself out in any one of a dozen or so rear view mirrors on a £1,000 Aprilia Mojito from 2005. 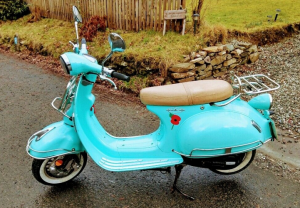 This retro scooter is as cool as you like and it has a rather peppy 2-stroke 50cc engine. If you are in a rush it will top at 40-45mph but you’ll get around 70mpg which makes it great value for money. Another good looking scooter. The model we found was from 2016 and was barely run-in having clocked just 1,500 miles from new – that means there’s still plenty of life in this young pup. 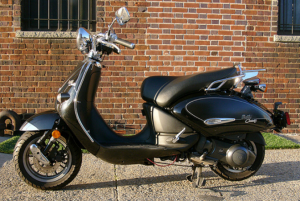 Its lightweight automatic transmission and low seat elevation makes it a breeze to ride and easy to handle. We reckon the stylish Italian design would draw as many compliments on the scooter rally scene as it would on the urban commuter run. That would be £1,000 very well spent. 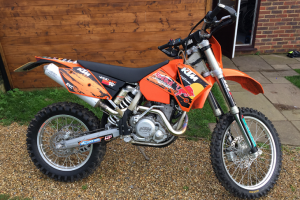 We found a 2007 KTM SX motorbike for sale, the famous Austrian motocross and offroader in signature orange colour, for just £1,000. The KTM is one of the most successful brands in motorsport history and though this model is powered by a modest 64cc engine, the acceleration is still impressive. Pared back and built for racing, the KTM will make your daily ride to work something of an adventure, but the machine really comes to life off-road so why not give it a spin? Manufactured in 2001, the SpeedFight we found was an £800 bargain buy. It’s quite quick hitting around 60mph and the auto twist-and-go commuter bike is very cheap to run. With a 2-stroke 100cc engine, the Speedfight with its rather sporty look is aimed at the younger end of the market but it would be a comfortable and reliable ride for more experienced bikers too, if they need to stick to a budget under a grand. The variety and quality of motorbikes for sale at under £1,000 proves that it pays to shop around – we looked for our one grand wonders on Auto Trader and ebay. But whichever machine you choose, be it one of the models we have found or perhaps something a little more expensive such as a Vespa, BMW, Ducati or Harley-Davidson, you won’t have to shop around for the best deal on your insurance because the specialist motorcycle broker Bikesure will do that for you. And if you want to test out your new bike at a track day we can come up with an insurance deal for that too. We’ll even provide a special policy to cover your helmet and leathers from as little as £27. Safe biking!